The Cherry Creek North Business Improvement District (BID) and Karsh Hagan together announce that the BID has hired Karsh Hagan as its new marketing agency of record. Karsh Hagan will provide a full range of strategic marketing services which will focus on building upon Cherry Creek North’s reputation as one of the top visitor destinations and premier communities in the country. “Cherry Creek North is one of Denver's finest destinations and we look forward to leveraging our agency's tourism marketing expertise to inspire residents and visitors to experience this special area of town," said Pasquale Marranzino, Co-CEO of Karsh Hagan. Cherry Creek North is a 16 block (1st and to 3rd Avenues, University to Steele Streets) urban center with the highest walk score in Denver and access to all the amenities and businesses that residents and visitors are seeking. 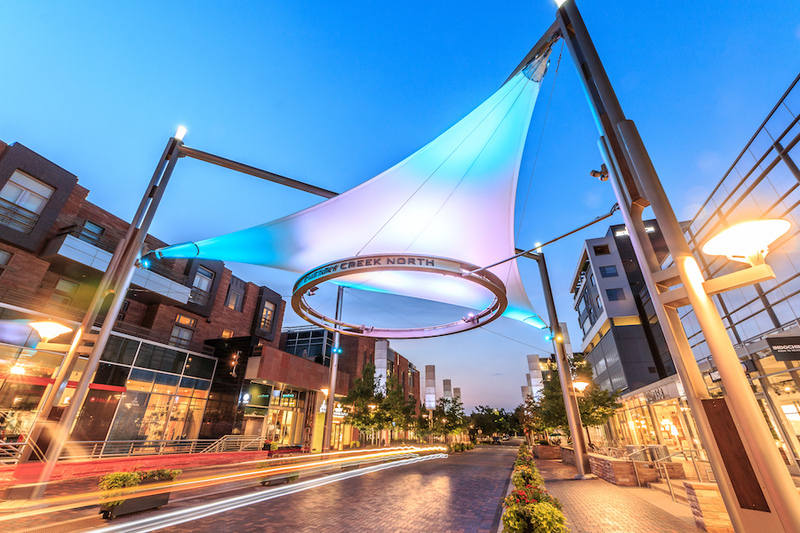 While the area has built its reputation on its high-end retail, Cherry Creek North has recently undergone the largest amount of private redevelopment in its history and now offers the full range of live, work, stay and visit opportunities in a concentrated and walkable location. With soon-to-be five hotels in the District and a reputation for outstanding shopping and dining options (fashion, home furnishings, food and beverage), Cherry Creek North is one of the most visited destinations in the state of Colorado. The area is one of the most coveted zip codes in the city for residents, workers, businesses, and now national and international visitors. The Business Improvement District provides a full range of district marketing support services for the 600 businesses who call it home. These services include advertising, public and community relations, digital media, branding, and signature events focused on local, national, and international audiences. These marketing services are in addition to numerous other services in streetscape, economic vitality, and advocacy all provided by the BID. Phil Karsh and Tom Hagan founded the agency in 1977 on the love of a great idea. Located in Denver, Karsh Hagan has been a market leader in the Rocky Mountain region for 40 years, helping blue chip companies elevate their purpose. With 65 employees, the agency offers branding insight and creative solutions for clients while delivering unprecedented results. Key clients include the Colorado Tourism Office, VISIT DENVER, Denver International Airport, Aspen Skiing Company, University of Colorado, InnovAge, Arrow Electronics, TD Ameritrade Institutional, Pinnacle Bank, Bank of Colorado and more. Projected agency billings for 2018 are $60 million. For more information, visit www.karshhagan.com.